It would appear that today is a good day for cider apple varieties here in the UK. Over the last 25 years, the NACM (National Association of Cider Makers), together with Liz Copas (Pomologist... that is someone who knows a lot about apples, not someone who reads your fortunes from the pips!) have been growing a number of new varieties. These were whittled down to 29 new types. So, whats wrong with the old ones? Well, some are pretty hard to grow and very tempramental - round here, Kingston Black and Crimson King are pretty much non starters (although they grow well elsewhere). Others don't yield very well; though I can't think of one at the moment! Dabinett is probably pretty shy on Hampshire soil (well, Durley soil). These new varieties are trying to tackle these problems and produce a well balanced, problem resistant apple that makes great cider. It has to be said (and Andrew Lea, ex-Long Ashton colleague of Liz Copas has mentioned it a few times on the Cider Workshop), these will almost certainly only be available to fairly large commercial concerns for the time being. However, you only have to look at varieties like 'Bulmers Norman' to see that this will, hopefully, filter down to us mere mortals sooner or later. As well as being the cider making season, its worth remembering that it is the apple season too. Yeah, I know this may seem like the bleedin' obvious, but its a neat way to get on to think about visiting an apple day somewhere. The best list of apple days around the country can be found on the Common Ground website, which each year gives details of more and more apple day events. An apple day event will generally have a display of apples of various kinds - sometimes focussing on 'local' heritage verieties, as well as selling fruit and juice. Invariably there will be pressing demonstrations, and likely cider ad apple juice on sale too. On the fun side, expect anything from apple bobbing to competitions to peel apples in order to get the longest peel! New Forest Cider's 'Steam Pressing weekend turns the apple day on its head by concentrating more on the cider side of things - its more like a festival in som respects. As well as a number of groups pressing juice, there are plenty of other traditional crafts being demonstrated... and you can get your cider hot or cold. Truly recommmended! Although the plan is to attend New Forest Ciders event (as a punter - no 146 on sale there... yet), 146 will be found at the Fruitwise Apple Day, at Durley Village Hall on Saturday 25th September. From a cider point of view, this is still quite early in the pressing season - though I plan to take the kit along and do a demo - please don't hold me to it though! However, thanks to the hall having a licence I can sell a few glasses and folk are welcome to a complimentary taster! The Fruitwise Apple Day takes place on Saturday 25th September at the Memorial Hall in Durley (SO32 2AR). Full details can be found on their website. I just realised that in my last post I wrote about apple bletting, and put a notation next to it - leading to the belief that I would actually explain myself. the ripening of fruit, esp. of fruit stored until the desired degree of softness is attained. ...which is pretty good for a dictionary! Bletting is exactly that. Pressing unripe apples is a big fat no no for making cider - the juice is acidic, sufficient starch has not changed to sugar, etc. Bletted apples, however, are often soft (some insist that they are black before pressing, but I have yet to go that far!) Early apples generally don't blet very well. They don't keep and go mouldy (which is different from going soft!) However, the later cider apples can sit for anything from a week to a month before they are ready to press. So, as we drift into the Autumn; as apples bletting* pile up (or stack up - as the case may be) and the cider making gets into full swing, two more festivals have decided to serve up a bit of 146 Cider. 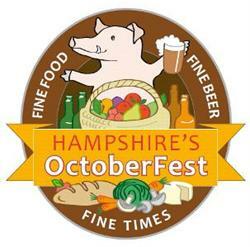 "This years Hampshire Octoberfest will see a huge variety and quantity of ales and ciders from all the Hampshire Breweries. After last years overwhelming success, there will be more of all of those old favourites such as Bowmans, Irvings and Andwell breweries plus some beers from four new breweries. The new Hampshire brewers are Botley Brewery, Flack Manor in Romsey, Hensting Brewery in Owslebury, Winchester and the Upham Brewery in Bishops Waltham. It looks likely too that there will be a few new ciders for you to try, including 146 Cider from Southampton." Oh, and whilst I am on plugging October festivals, don't forget the Ale-ing Festival on Hayling Island (near Portsmouth) on the 1st and 2nd October! Well, as well as the harvest of apples that has now started there seems to be a harvest coming of the cider book variety too (well, 2 I can immediately think of!). A few people have asked what I would recommend for people coming to making cider. The first thing I would always suggest is getting involved with an online community like The Cider Workshop... lots of people who are either going through the same thing or have in the past. However, there is nothing like having real paper and pictures to refer to. 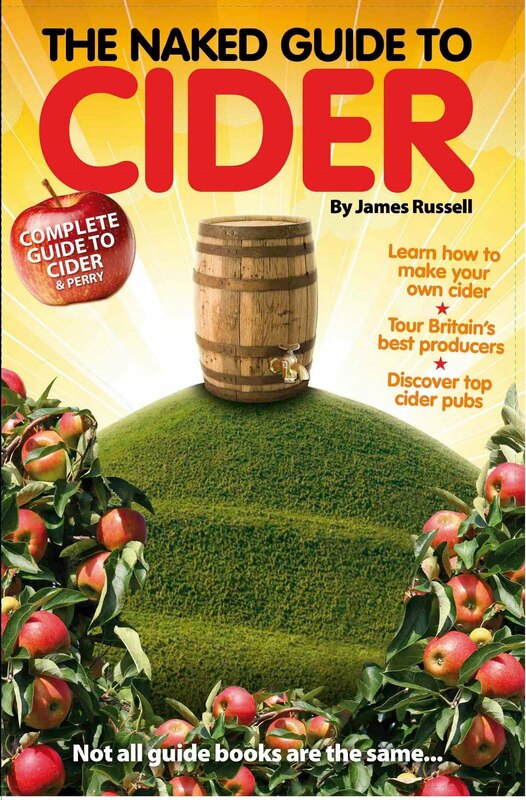 The first ‘new’ book out this autumn worth mentioning is a 2nd edition of just the kind of book that is essential for cider makers of all experience. 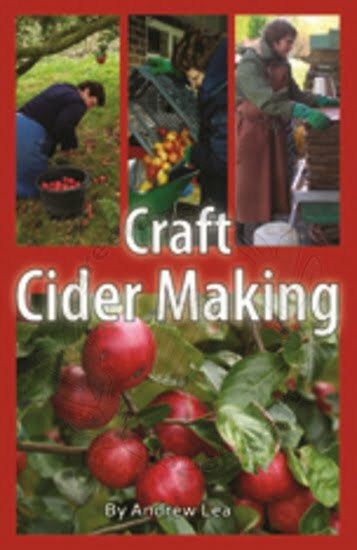 Andrew Lea’s ‘Craft Cider Making’ takes you through the process of turning apples into juice, and juice into cider. It covers the most common faults for cider and gives options for tailoring your cider. And it does all this in a methodical manner with pictures to demonstrate. Another beer festival to add to the list. Colden Common Community Centre are holding their beer festival on th 18th September at the Community Centre [click here for location]. The event starts at 2pm on the Saturday and runs through to 11.30pm. There is a family day on the Sunday (2pm - 5.30pm). Visit their website for further information.